Our shadecloth is strong and durable, but did you know that it’s versatile too? If you didn’t, prepare for more surprises by taking a look at our unexpected uses for excess shadecloth. If you’ve got issues with possums or cats treating your sandpit like a litter tray, try covering it with shadecloth during the night. It’ll keep them out and the mesh fabric is breathable, so moisture can escape and let the sand dry. Add a couple of simple hems and you can thread some rod through the sides to weigh it down. Get your hands on some shadecloth before your steering wheel gets too hot to handle over summer. Our fabrics come in a range of UV block options that meet stringent Australian standards and help keep things cool – whether you’re sitting in the backyard or the front seat. Just cut a piece a little longer than your windscreen and close it in your car doors, and you’re good to go. Shadecloth can be a great alternative for torn-fly wire screens because it’s difficult to see through (for added privacy) and it’s knitted as a fine weave, making for great protection against bugs and mosquitos. Plus, it offers the added benefit of helping keep the house cooler if your door is regularly bathed in full sunlight. Pot plants need regular love and attention, particularly when it comes to watering. 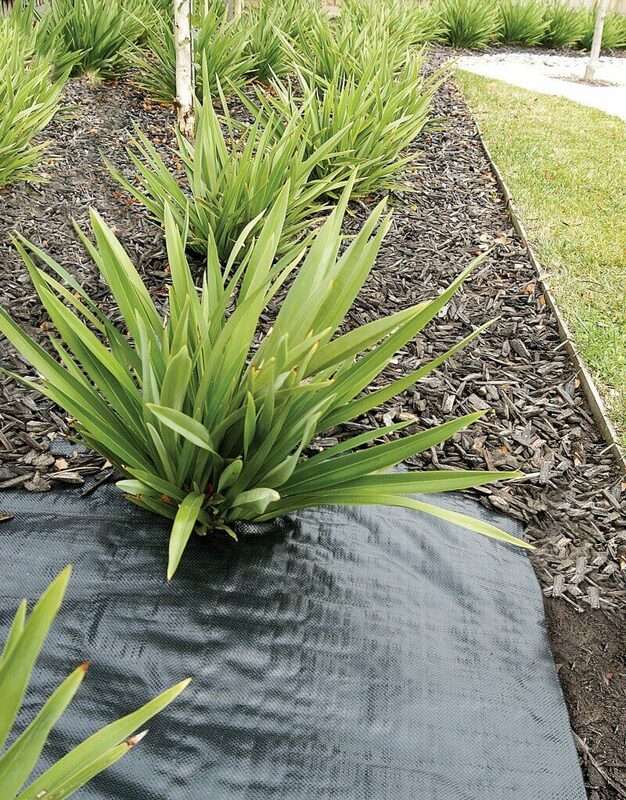 An easy way to help with the retention and distribution of water is to add a pot plant liner, and an easy way to make one is using your left over shadecloth. Just cut a small length and place it on the inside of your pot before filling it with soil. Remember to use a small rock to cover the hole in the bottom of the pot, to prevent dirt and water from leaking out too quickly. By stretching a short length of cloth between your fence and a nearby tree, you can create the perfect little platform for a cat to stretch out on in the sun. The material retains heat nicely and is resistant to mould and mildew too. Once you’ve put it up, it’s good to go from the wet seasons to the warmer months. It’s a classic catch 22: washing dries faster on a windy day, but more leaves, insects, pollen and debris are likely to be flying through the air too. They’ll stick to clothes, de-whiten whites, and get wrapped up in bedsheets. Not to mention what can happen if any birds ‘drop’ in. Stretching some shadecloth over a clothesline will allow your washing to get some sun, warmth and wind while protecting it from the elements. Check out our full range of shadecloth varieties you might be able to come up with some unexpected uses around the home yourself! Installing your new Coolaroo outdoor fabric is as easy as following these 8 simple steps.